A stem cell health journal is a science based journal that is strictly devoted to the field of regenerative medicine, including biostatistics,epidemiology and medicine related fields. All Public and most private health journals are peer-reviewed. 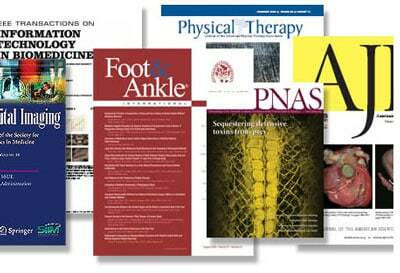 Public medical journals are usually published by medical societies and health organizations such as “WHO” or World Health Organization or the British Journal of Epidemiology and Community Health and the Journal of the American Medical Association. Credible Print and Online Resources Covering Stem Cell Research and Clinical Application. Annals of Hematology – From German Society for Hematology and Oncology, and Austrian Society for Hematology and Oncology covers the whole spectrum of clinical and experimental hematology, hemostaseology, blood transfusion, and related aspects of medical oncology, including transplantation of hematopoietic stem cells. Biology of Blood & Marrow Transplantation – 0riginal research reports, reviews, editorials, commentaries, letters to the editor, and hypotheses. Biology of Blood & Marrow Transplantation is the official publication of the American Society for Blood and Marrow Transplantation. BioPharm International – Authoritative voice in the evolving business, scientific,regulatory and technical areas of the biopharmaceutical industry. Bone Marrow Transplantation – A Peer-reviewed scientific journal covering all aspects of basic and clinical hematopoietic stem cell transplantation. Bulletin of Experimental Biology and Medicine – This peer reviewed journal offers original research papers and medical brief reports on new research results in physiology,oncology, biochemistry, biophysics, immunology, microbiology, genetics,pharmacology and other topics. It includes a quarterly scientific journal called Cell Technologies in Biology and Medicine that publishes only original papers from the leading research institutions on the molecular biology of stem and progenitor cells, stem cell as the basis of gene therapy, molecular language of cell-to-cell communication, chemokines, cytokines,growth and other factors, pilot projects on clinical use of stem and progenitor cells. Cancer Microenvironment – Official journal of the International Cancer Microenvironment Society (ICMS). Featuring all aspects of basic, clinical and translational research devoted to the study of cancer microenvironment. Topics include cancer stem cells, the metastatic niche, targeting the tumor microenvironment and preclinical and clinical trials. Cell Stem Cell – Stem cell research such as basic cellular mechanisms to therapeutic and clinical applications. Quality research articles, scientific reviews, social and research commentaries, profile of prominent people and reviews of external meetings and resources. Cell Transplantation –Original and peer-reviewed medical research and review articles about cell transplantation and clinical application to human borne diseases. Cloning & Stem Cells – Peer-reviewed research papers covering all aspects of cloning along with the culture and differentiation of stem cells from all stages of development from embryo to adult. Cytotherapy – Research on stem cell processing and stem cell transplantation, cancer treatments, stem cell plasticity, autoimmune diseases, immunotherapy, congenital disorders, novel molecular therapies, gene therapy, and cell-based therapies of malignant and non-malignant blood diseases. Future Medicine – Challenges and recent advances in regenerative medicine and stem cell research. Coverage includes developmental biology,derivation,reproductive medicine,maintenance of stem cell lineages,applications for pathological conditions, clonality,emerging technologies,plasticity and pluripotency, tissue engineering and much more. Journal of Cardiovascular Translational Research –Quarterly biomedical journal with original papers and articles in the areas of cellular therapy and genomics as related to cardiovascular disease. Other topics include advances in stem cell therapy, the use of model organisms and screening platforms to promote understanding of progenitor and stem cell biology and pharmacology, along with social,moral, legal and ethical issues. Osteoarthritis Research Society International – OARSI or Osteoarthritis Research Society International is one of the leading international medical societies for advancing the understanding, proper early detection,prevention and treatment of osteoarthritis. MEDLINE PLUS – Free service from U.S. National Library of Medicine and the National Institute of Health covering news, specific conditions, financial issues, clinical trials, journal & research articles, directories, glossaries, law and policy, statistics and organizations. Molecular Biotechnology – Articles on the application of molecular biology to both basic and applied research in biotechnology. Areas of interest include cell transformation, the stability and expression of cloned gene products, gene cloning systems, antisense technology,stem cell technology, tissue engineering, protein engineering and enzyme technology, and monoclonal antibodies. PubMed – Up to date database for all science publications. Stem Cells Portal– Articles and peer reviews describing basic laboratory investigations of stem cells and the translation of their clinical aspects of characterization and manipulation from the bench to patient care. Stem Cell Reviews – Contemporary and emerging areas including embryonic, adult stem cells and cloning issues. Peer reviews of basic, clinical, biotechnology, regulatory, and ethical aspects of stem cell research and applications. Stem Cells & Development –Previously the Journal of Stem Cell Research and Hematotherapy. Articles focuses on Functional medicine, stem cells of all tissue types and their potential therapeutic applications. For questions or requests for additional resources please contact us today.